How to stay money savvy with Airbnb. 02 Jun 2016How to stay money savvy with Airbnb. 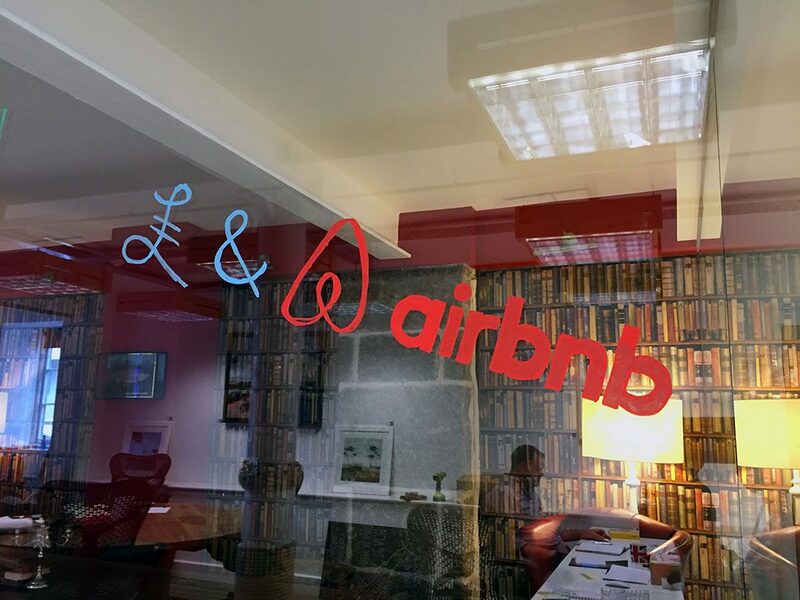 Founder Mike Hutch has distilled some top tax tips to look out for when using Airbnb as a host. I don’t know about you, but I’m really excited about the ways in which some recent internet based phenomena are disrupting conventional markets. The way that Uber has blown traditional taxi’s out of the water creating private drivers, that set the fare before you get in the taxi, and you can get out without the need to fumble for cash; or Purple Bricks that has shaken the property selling market with its nationwide coverage and exceptionally low fees; and then there is Airbnb, not only banging on the door of holiday letting agents, but has, to some extent stolen the jumpers and the ball and run off and created a completely new game. And all of it through a slim plastic device that is never out of our hand. Instant access, 24 hours a day, all day every day. Good and bad – yeah? But let’s stick with Airbnb. There is clearly a whole raft of opportunities that exist with Airbnb and not least of which is the extraordinarily quick way you can find yourself starting to earn from your property. You may live in the country, you may live in town, you may live by the sea, you may have far reaching views, you may just have a spare room. You can let your whole house, or just part of it. But whatever your situation, if you have some spare room or a room to spare you could very quickly be letting it out. And if it proves successful, the few pounds you earn each time, very quickly turns into a few hundred pounds and before long a few thousand. So why wouldn’t you? Well, in some ways there are no reasons why you wouldn’t just so long as there are no surprises. There are some obvious things that can be upsetting, but one absolute gem that Airbnb holds up it’s sleeve over just about every ‘holiday’ letting business is the ability to review your guests. And if they should upset you, you could make it quite difficult for them to rent again. Sadly, one other surprise, that I’m not sure everyone thinks fully about is tax. Yep, I said it, tax. Income from Airbnb is taxable. Oh, really? Well it’s not necessarily taxable, but in most circumstances it probably will be. So, what, if any are the exceptions? Rent-a-room. In simple terms HMRC allow you to earn up to £7,500 per annum letting out a room in your main residence. You can’t set any expenses against it (for tax purposes) and so long as the gross rental does not exceed £7,500, it’s tax free. If you own the house jointly with another, and you both rent a room, then you get half the allowance each . Rent in excess of the allowance is taxable. Nice. If you are lucky enough to a) own your house; b) don’t need to work – then you can earn up to £10.6k (this time, net of all expenses) and not pay any tax (providing you don’t have any other income). Which is also nice. But for most people, it’s highly likely that (in order to buy your house in the first place) you have other income and therefore the profits from Airbnb will be taxable. And the tax that you pay on those profits will be at the marginal (or your highest) rate. Not so nice. any deduction made by Airbnb (like commissions) from the rents you receive. the costs of any rents you incur, if you move out to let your property. the cost of staying in other accommodation for research purposes. These lists are far from exhaustive, and I would urge you to contact your accountant who specialises in property and rents in order to understand precisely your circumstances. Sadly, when talking about Airbnb it’s not just income tax you need to keep an eye on. In certain situations you could find yourself liable to capital gains tax in the event you sell a property for more than you paid for it. As a general rule, if a property is your main residence, and you live in it all the while you own it, then it is unlikely you will fall foul of any tax charges. However, in the event that you move out of the property for extended periods and let it during that time, you may find that when you come to sell (having made a profit) dear old George writes to you requesting a slice of those profits. Boring, but possible. Call your accountant. Lastly, whilst talking about extended absences from the property whilst letting to Airbnb folk, you would be best to keep a weather eye out for your mortgage lender. Some lenders my not be the slightest bit concerned, others could take an extremely dim view and insist you re-apply. Also boring but important. So, we love Airbnb and its recreation of the instant accommodation market all over the World, but if we are considering letting our own property, particularly for any extended period, then there is clearly some ground work to be done to ensure that you eliminate any surprises to do with tax. And if you need any help, we are here to help.